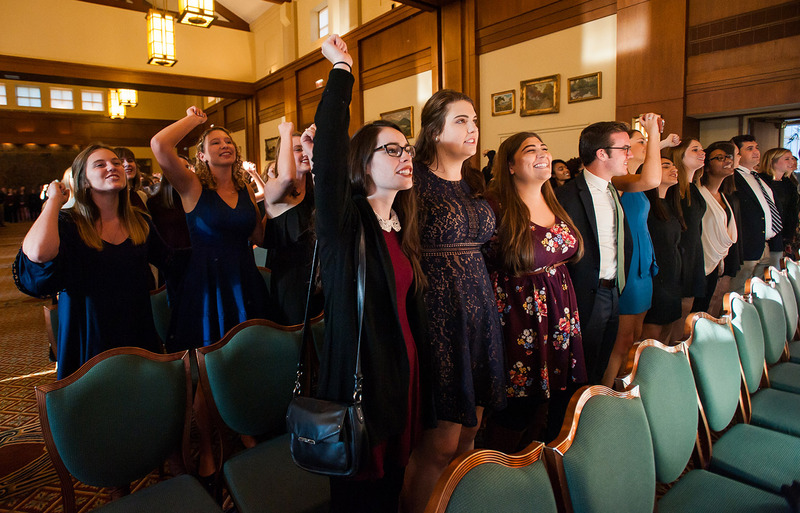 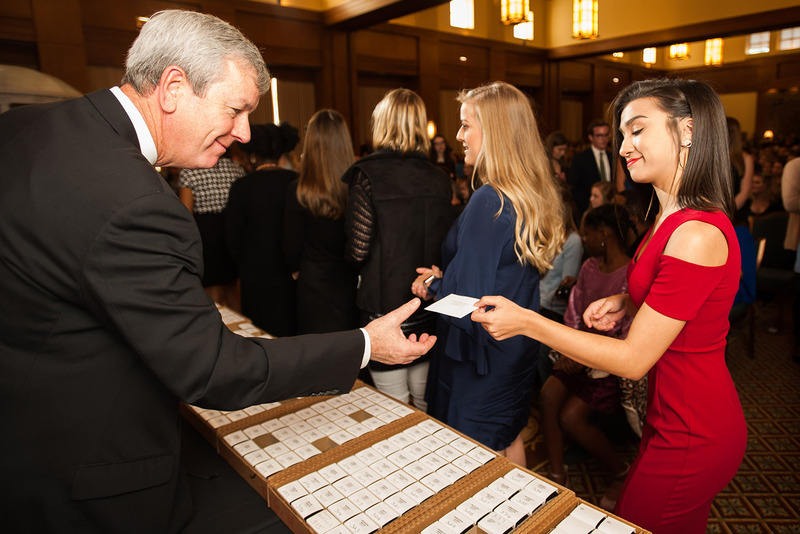 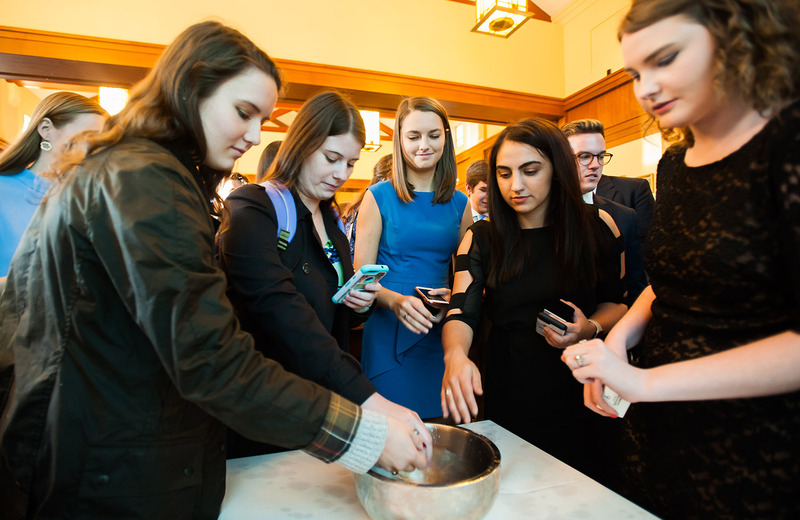 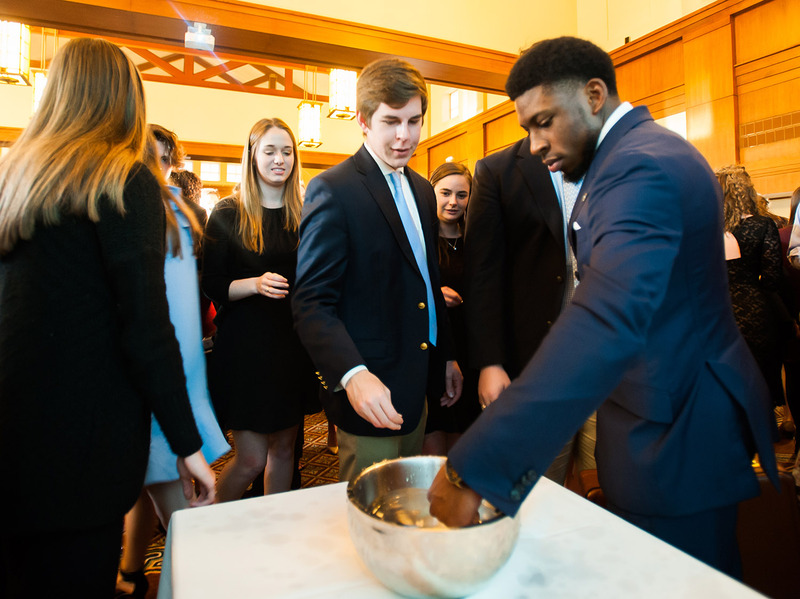 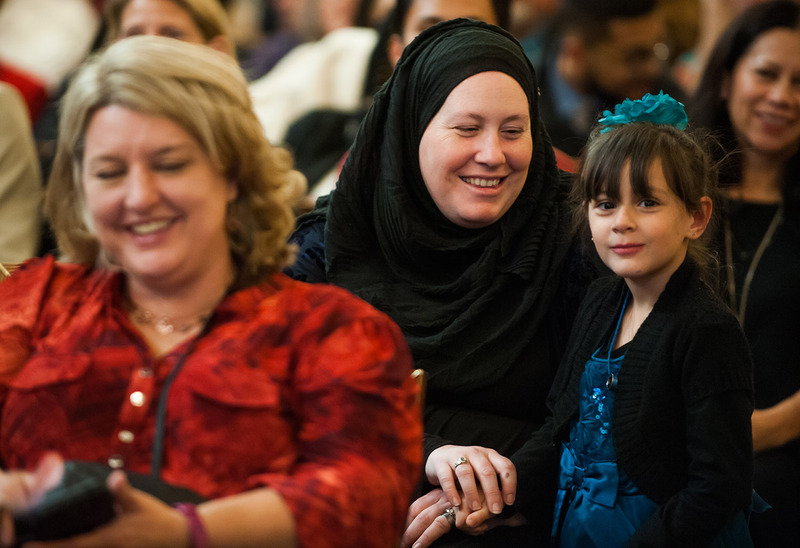 “Accept your ring with a sense of electricity,” said historian Freddie Kiger ’74, who spoke to the gathering about the power of a symbol to connect students and alumni to their alma mater. 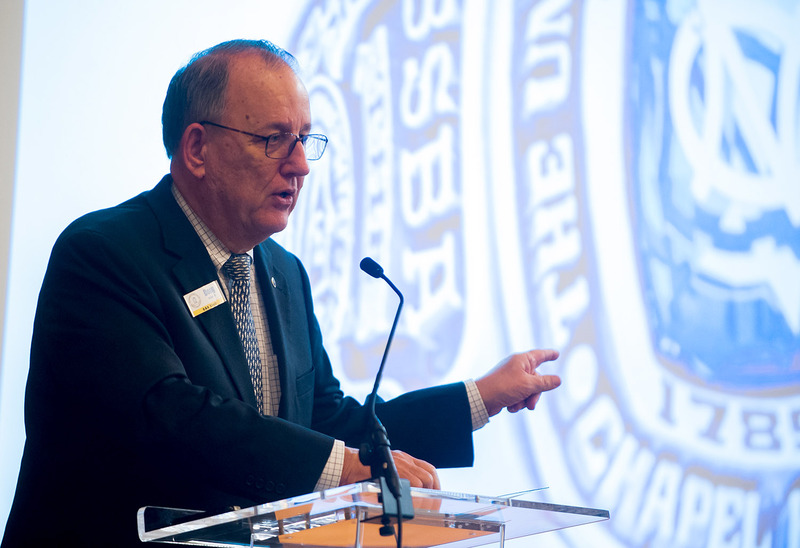 Bob Blouin, provost and executive vice chancellor, emphasized that centuries-spanning connection. 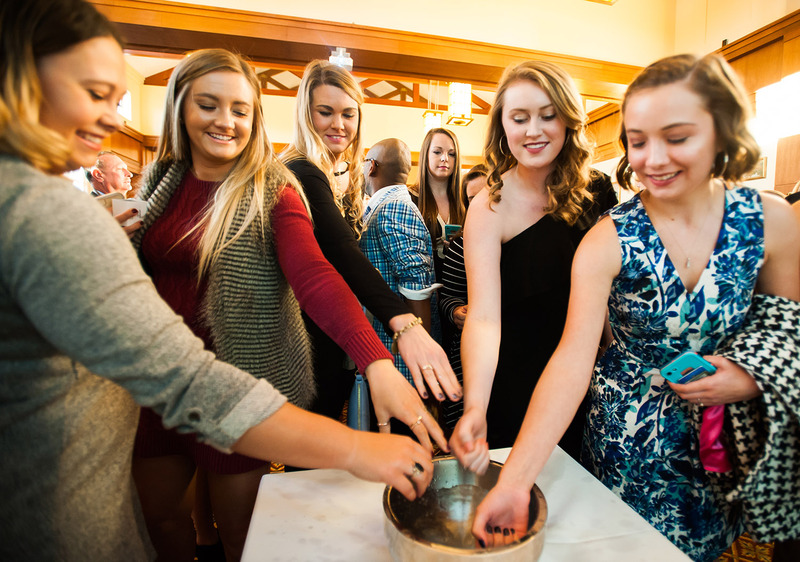 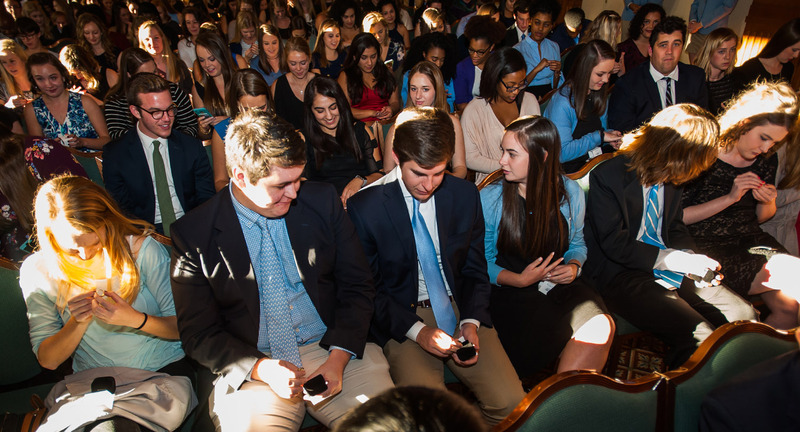 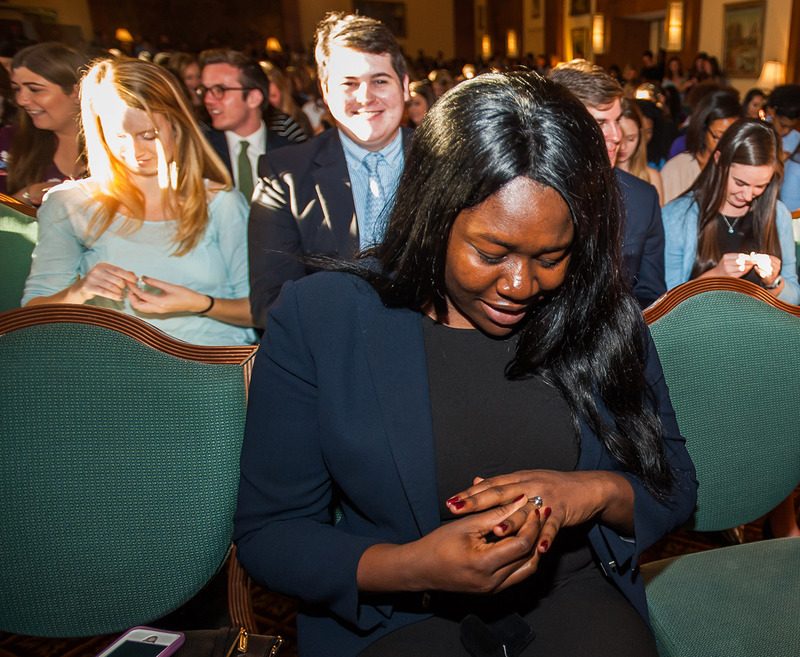 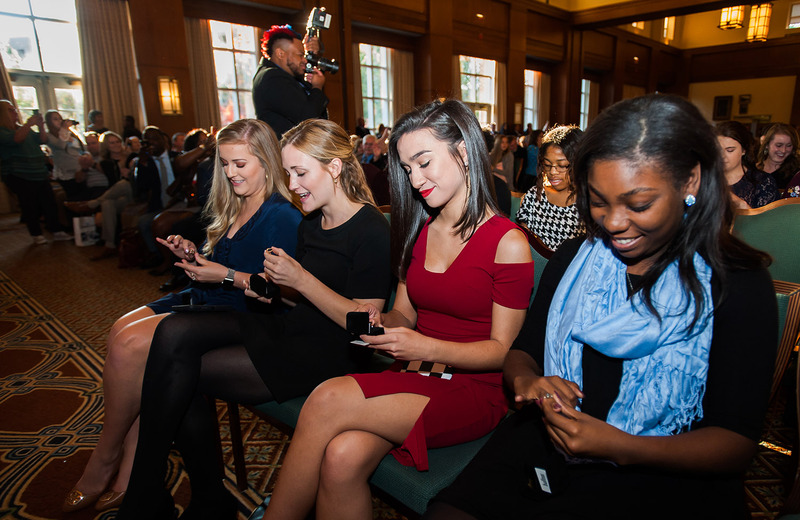 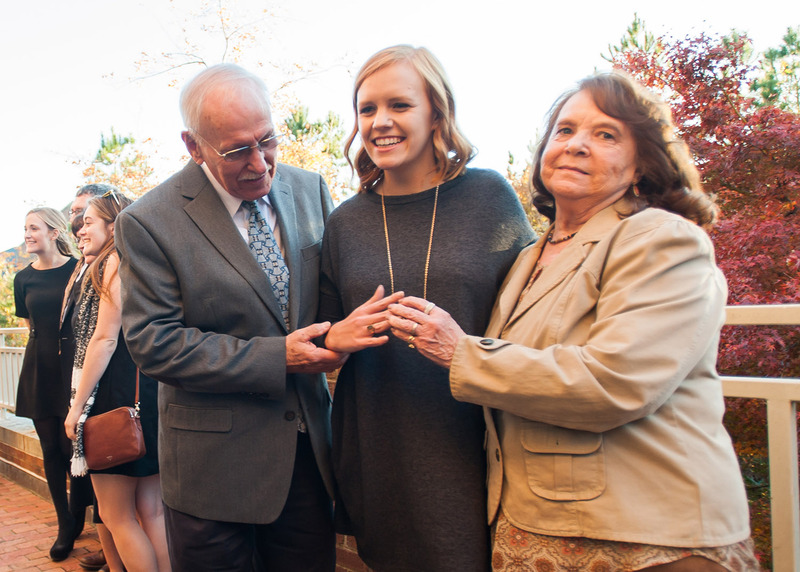 Getting a class ring was a family tradition for Alaya Reynolds, a senior; several of her relatives have attended UNC. 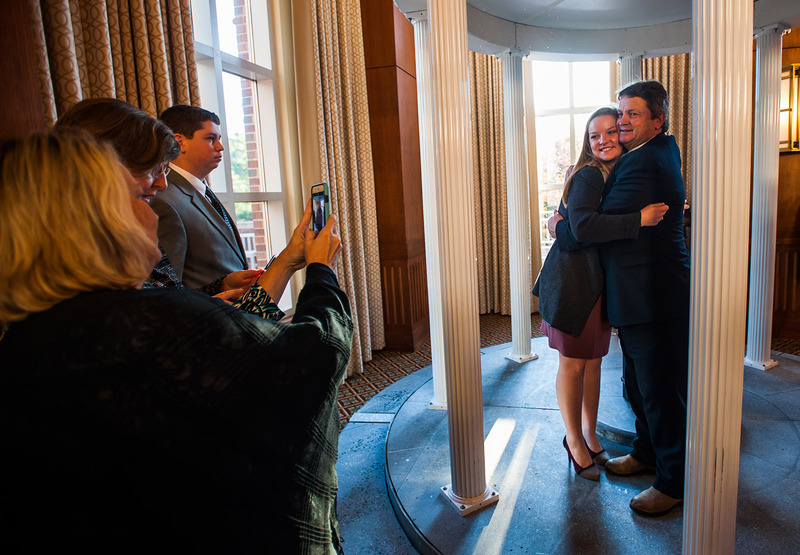 Reynolds said she will try to wear hers every day. 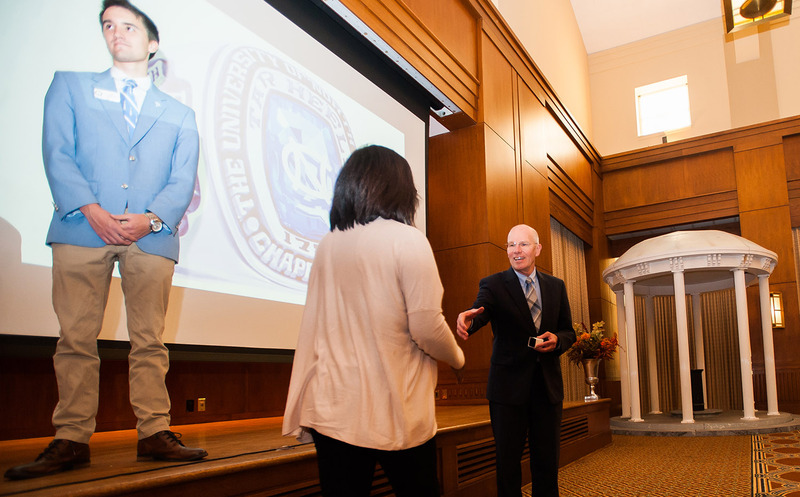 Getting a class ring was a new experience for senior Darwin Garcia, a native of El Salvador and the first in his family to go to college. 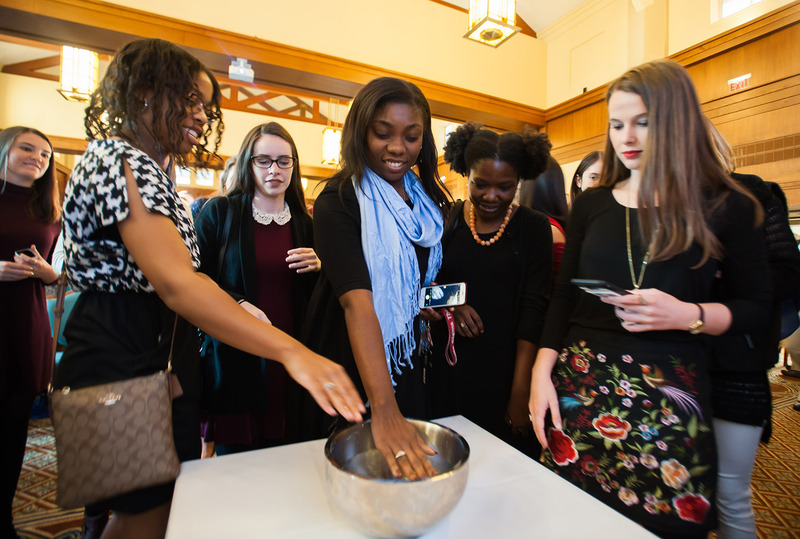 “I’ve never gotten a high school ring or anything,” said Garcia. 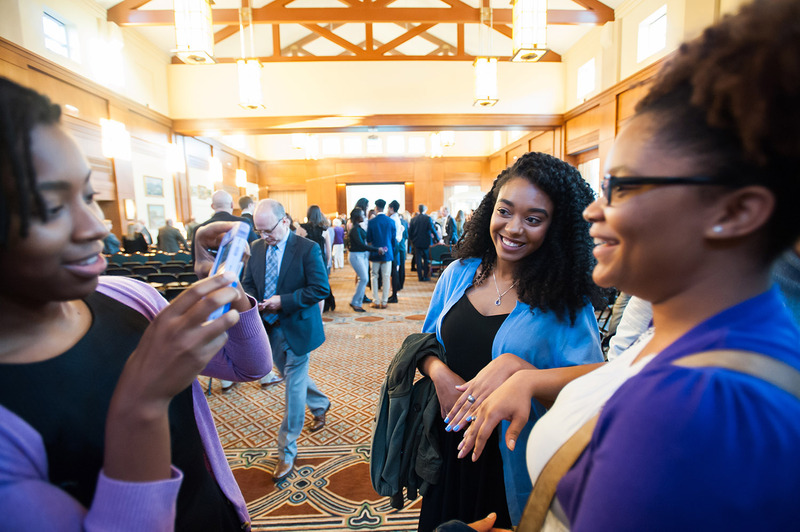 “UNC was the first university I saw when my family moved to North Carolina. 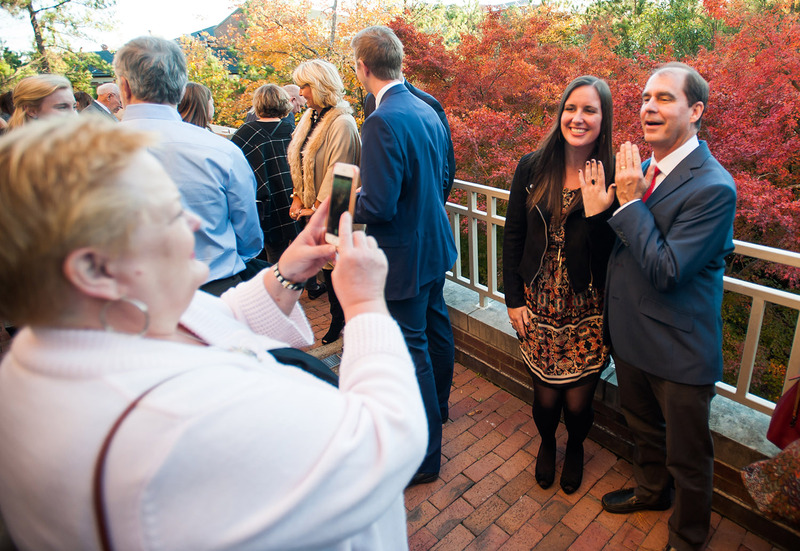 As a first-generation college student, everything was new.” He said that the ring and his soon-to-come diploma signify that he belongs to Carolina and his adopted homeland. 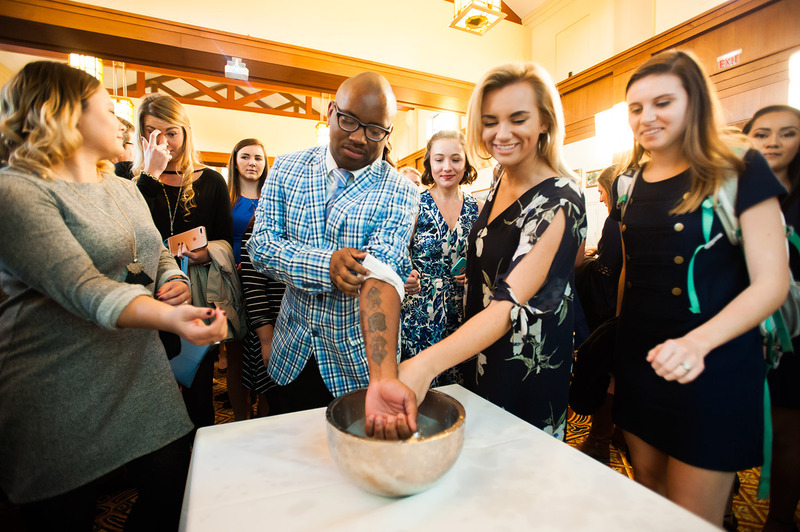 Save the date: The next Official Class Ring ceremony is scheduled for April 8, 2018. 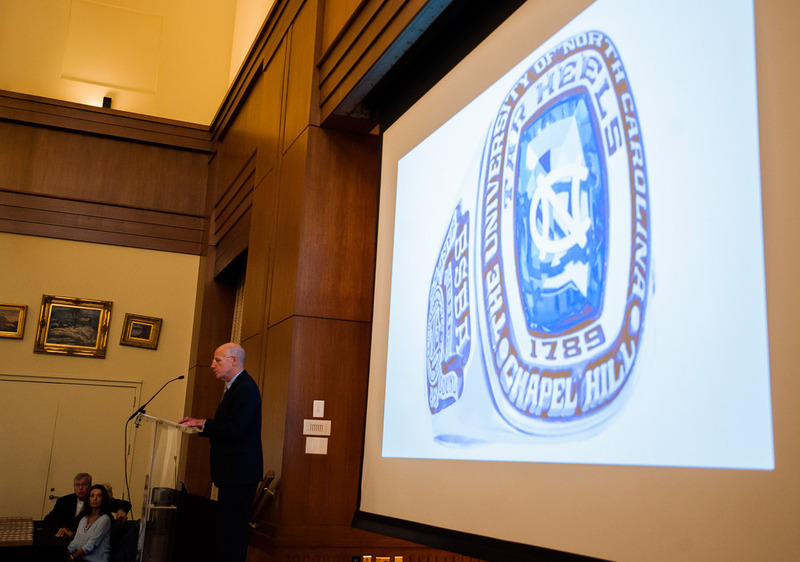 Visit alumni.unc.edu/official-class-ring-program for details.